Tradeshow marketing is hard. It’s chaotic. Much of what happens in your booth at show is out of your hands, uncontrollable. 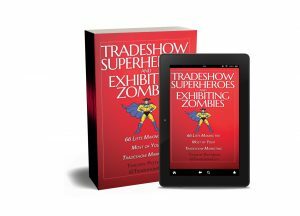 I’ve talked to hundreds of exhibitors and consultants and experts over the years, yet they rarely, if ever, bring up one of the key elements that make tradeshow marketing so difficult. And that’s the nuts and bolts of personal interaction with attendees. While attending shows is one thing, standing in the booth for hours over the course of two or three days is a different beast entirely. You may have a plan: ask passersby specific questions (“What brings you to the show? Does your company use our product or service? If so, are you planning to make a purchase in the near future?” And so on…), make sure the conversation is completed properly with follow-ups, dates/times, content, etc. But when the show is underway, those plans often fall away and you end up having conversations that don’t regularly get to the point. It happened with us at the Cannabis Collaborative Conference last week. Prior to the doors opening, my partner, Roger, and I talked about these questions and the information we were hoping to obtain from attendees. We were looking to qualify or disqualify those attendees based on those questions. But our approach was lacking. It’s too easy to get into a conversation about something else because of a topic that the attendee brings up. Or once you start a conversation, someone else comes by and asks a question. Then you get distracted. We’re all human. We can’t make every interaction as good as we’d like. 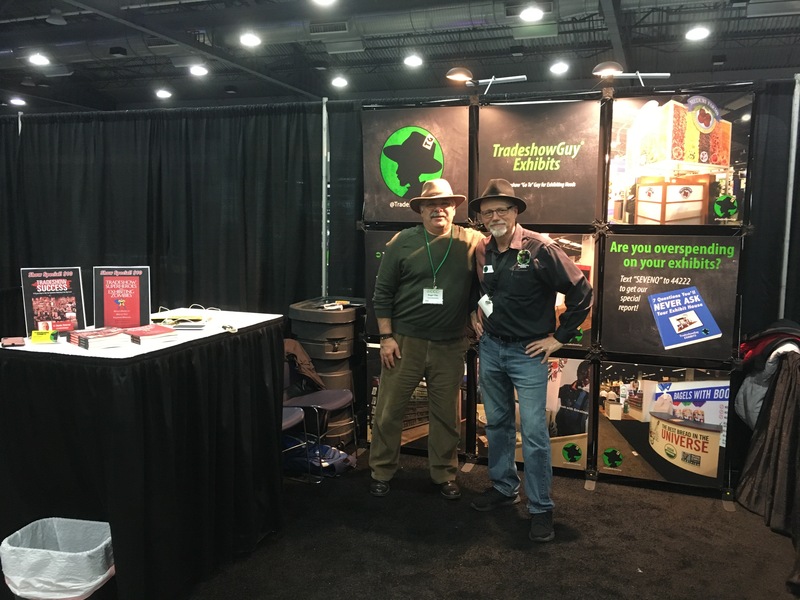 TradeshowGuy Exhibits on the scene. As the hours slipped by, and we had lulls in the number of people walking our aisle, we’d chat about how we were trying to do the right thing, but it’s not always possible. The human element makes it impossible to get it right all the time, or even much of the time. Having said all of that, there were a number of pleasant surprises: people who stopped and asked specifically what we did and then wanting to make sure we followed up; people who saw my books on the table and inquired about them, which was a great opportunity to start a more in-depth conversation; people who saw what we did and referred us to someone in their booth nearby to chat with about possibly doing something with them in the future. In spite of all of the misfires with a lot of attendees, at the end of the show we both felt that a lot of good came out of our appearance. We counted over 40 contacts that we’ll be following up with shortly. Many of them could be seen as strong leads. It’s so easy to see all of those poor interactions as a reflection of lack of preparation or skill, but I believe that’s not the case. It’s just the way it goes. Often. People are easily distracted. People have their own agendas. They are unpredictable. Not everything goes exactly as planned. But at the end of the day, if you came away with a good amount of leads that you can follow with, that’s a good thing. Don’t worry about the ones that got away. They might not have been that valuable anyway. And frankly, in this business, we won’t really be able to come up with an ROI for months and months.